The week ends, and when it gets hotter in Austin County the beer gets colder and crawfish are on the boil. Moe Hansum Band shows up at Huff Brewing Co., sets up the drums, tunes the guitars, counts to 4, and with a proud stomp of the foot, it's Friday night. Texas-born Mississippi delta blues? I'll raise a pint of Huffmeister to that. This weekend, the beer flows like the old Mississippi herself. We're throwing down even more by offering crawfish (with potatoes and corn) available for purchase by the pound! See you on Friday. SUNDAY Nov. 4 from 1:00 p.m. until 7:00 p.m. it's a cool weather version of the PARKING LOT SALE we first held in June. We will have a variety of vendors selling art, crafts, music gear, household Items, clothes, tools, you name it. 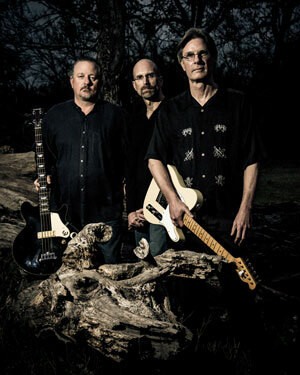 The MOE HANSUM BAND, a teriffic Americana, Texas Folk Country Blues group will be playing from 3:00- 6:00 p.m. The bar, kitchen and backyard will be open and this is a FREE EVENT. So stop by, catch a band we love, do some holiday shopping, and/ or get rid of some of those extras you have. Booth space is only $20.